The Allegheny National Forest is a National Forest located in northwestern Pennsylvania, covering 512,998 acres (2,076.0 km²) of land on the Allegheny Plateau. Within the forest is the Kinzua Dam, one of the largest dams in the United States east of the Mississippi River. The administrative headquarters for the Forest is located in the town of Warren, Pennsylvania. Two ranger stations located in the towns of Marienville and Bradford provide additional services. Today many of the National Forests in the Eastern United States, including much of the Allegheny, are primarily second-growth forests. Second growth forests are usually due to extensive over-logging similar to what occurred during the nineteenth century. They are different in character to National Forests in the Western United States, which contain forest reserves of largely virgin forest. The Allegheny National Forest lies in the heart of Pennsylvania's oil and natural gas region, only 40 miles (64 km) from the site of one of the world's first oil wells in Titusville, Pennsylvania. In 1981, almost 17 percent of the state's total crude oil production came from the mineral rights owned by private individuals within the Forest boundary. Pennsylvania is regraded by both its inhabitants and visitors as an incredibly beautiful state. It has 117 state parks and 4,500,000 acres (18,210.9 km²) of public lands, including some of the finest woodlands and natural areas in the United States. The Allegheny National Forest contributes much to the state's beauty. Map of the Allegheny plateau. The gray line divides the glaciated (northern) and unglaciated (southern) sections of the plateau. The Allegheny National Forest is located in northwestern Pennsylvania, where the Plateau begins to bend towards the east as it enters New York state. The Allegheny Plateau is located on the western section of the Appalachian Mountains, stretching southwestward from the Mohawk River valley in central New York to the Cumberland Plateau in southern West Virginia. 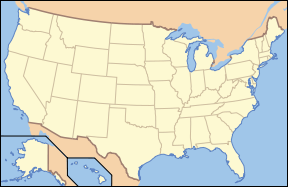 The Catskill and Allegheny Mountains are a part of the plateau. The northern portion of the plateau is drained by the Allegheny, Delaware, and Susquehanna Rivers, while the south is drained by the Ohio River system. The plateau, known for its scenic beauty, is mainly covered by hardwood forest. The Allegheny National Forest is on its northwestern portion. Today the Allegheny Plateau is known for black cherry, maple and other hardwoods, but two hundred years ago these species were less numerous. Today's forest is largely the result of two things: The exploitation of timber in the early twentieth century and years of Forest Service management, which began in 1923. About 90 percent of Allegheny National Forest is forested. The most widely distributed forests are upland hardwood forests of red maple, American beech, black cherry, and black birch. Also abundant are Allegheny hardwood forests of black cherry, white ash, and tulip poplar, growing mostly in the middle and eastern parts of the Forest. In the western and southern parts of the Forest, especially along major river drainages and on steep, drier slopes, are oak forests of Northern red oak, white oak, Eastern black oak, and scarlet oak. In the north are northern hardwood forests of sugar maple, American beech, yellow birch, Eastern hemlock, and Eastern white pine. An old-growth forest of hemlock and beech once stretched along northern Pennsylvania, but heavy logging between 1890 and 1930 left only pockets of the early forest. The Allegheny National Forest contains extensive tracts of that old-growth forest. These include the northern hardwood forests in Hearts Content Scenic Area and Tionesta Scenic and Research Natural Areas as well as riverine forests on Crull's and Thompson's Islands. Since the Forest Service began to manage the Allegheny National Forest in 1923, a different forest of hardwood trees like black cherry (that are more valuable as a timber product) was established through the use of herbicides and selective fertilizing. This weeded out the "undesirable" native trees while allowing the black cherry tree to thrive. In 1923 the National Forest Service established a research station. Soon thereafter, research scientists were studying complex relationships among vegetation, animals, soil, nutrients, weather, and disease. In the 1700s, the forest in northwest Pennsylvania was mostly Eastern Hemlock and American beech, with white pine along river bottoms and oak on the slopes of river valleys. Black cherry accounted for less than one percent of all trees on the Plateau. This old-growth forest contained rich, vibrant biodiversity, and was characterized by large trees, fallen logs, and a multi-layered forest canopy. Predation by the native wolf (Canis lupus) and cougar (Puma concolor) kept deer populations at naturally-regulated low levels, estimated at ten deer per square mile. The understory vegetation was dense and richly diverse. Disturbances such as tornado, blowdown, and ice storms were common natural events that created a random mosaic of small openings in the forest canopy across the landscape before the arrival of human beings to the North American continent. Later, Native Americans burned small areas of the understory of the forest in locations in order to improve berry and oak mast production, hunting, and ease of travel. European settlers reached this area in the early 1800s. At first, they cut trees mainly to clear land for agriculture and provide timber for cabins and barns. Soon, the first commercial water-powered mills cut small amounts of lumber from selected pine, hemlock, and large hardwoods. By 1840, portable steam engines made circular sawmills practical, and mills that could process 10,000 board feet (24 m³) of lumber per day were common. Tanneries that used hemlock bark as their source of tannin for curing leather began to appear in the late 1850s. This infant industry received a great boost by the Civil War demand for harness, military equipment and industrial belting. By the end of the century, the tanning industry was a major forest industry in Pennsylvania using huge quantities of hemlock bark. The logs were removed later and sawn into lumber products. Between 1850 and 1900, American society and technology changed in dramatic ways. Westward expansion, as well as the growing cities in the East, demanded lumber to build homes, stores and furniture. Demand for paper and other wood pulp products increased. An eightyfold increase in coal production led to the need for more lumber for mine props, timbers, and planks. Band saws came into use after 1880, making possible the construction of huge mills capable of sawing 100,000 feet (30 km) or more of lumber per day. Railroads provided convenient transportation to consumers and markets. They also opened up extensive and previously inaccessible areas of timber with specialized locomotives such as the Shay which could traverse steep hillsides, uneven tracks and sharp curves. All of these factors supported large sawmill and tannery industries. By 1900, deer and their predators were nearly eliminated due to over-hunting. The Pennsylvania Game Commission began to restore the deer herd by bringing in the animals from other states. A new enterprise, the wood chemical industry, changed the course of forest development. Between 1890 and 1930, wood chemical plants produced charcoal, wood alcohol, acetic acid, acetate of lime and similar products, and provided a market for virtually every size, species and quality of tree growing on the Allegheny Plateau. Harvests during this era were the most complete ever made in the area, clearing nearly every accessible tree of every size. The once vast forest of the Allegheny Plateau was almost completely removed, leaving barren hillsides as far as the eye could see. Many large forest landowners in Pennsylvania and other northeastern states simply abandoned the land and moved West in search of new forests. The land left behind often ended up on delinquent tax rolls, prompting a financial crisis for rural counties. The bare soil and logging slash made floods and wildfires a constant danger. In 1911, the United States Congress passed the Weeks Act, allowing the federal government to buy land in eastern states for the establishment of National Forests. The Allegheny National Forest was established in 1923. At the time the land was so depleted that many residents jokingly called it the "Allegheny Brush-patch." At the time some worried the forest would never recover. But with low deer populations, a new forest did grow quickly. It was a different forest than the previous one, because conditions were now different. Shade-tolerant, long-lived trees like hemlock and beech gave way to sun-loving, shorter-lived species like black cherry, which readily germinated on the bare sunny ground. Cherry, red maple, black birch, and sugar maple became common species in the understory. Between 1900 and 1940, the young forest grew and evolved from openings to young forest to maturing forest. Each stage in forest development brought different benefits for people, wildlife and plants. By the 1940s, the forest began to take on an appearance familiar today. The older trees provide acorns, cherries, and beech nuts for bear and turkey. Birds find sites for nests in the leafy tree crowns, and plants such as trillium prefer the filtered light of the maturing forest. In the 1940s, the Forest Service gradually resumed timber harvesting under strict research-based guidelines to ensure sustainability for future generations. Abundant browse led to a dramatic increase in the deer population, which peaked in the 1940s and again in the late 1970s. Since the mid-1980s, the deer population has remained fairly constant, although at a level higher in many places than the forest can support. Today the trees are mature and able to provide quality hardwood for furniture and other needs. Foresters deal with challenges like deer, insects, disease, drought and competing vegetation such as fern, through research and careful management. A small percentage of the Forest, in select sections, will be left in its natural condition undisturbed by logging on a permanent basis, gradually progressing toward the biologically diverse old-growth condition. When the Allegheny National Forest was established in 1923, the immediate challenge was nurturing the young trees growing amongst logging slash on the recently-cleared hillsides. Because of such heavy logging and mining, wildfires, floods and erosion were a threat. With care and a general absence of overt human interference and manipulation, the forests grew. The Forest Service brought new concepts in forest management to the Allegheny Plateau, multiple benefits and sustainability. The Organic Act of 1897 introduced the National Forest mission: To improve the forest, provide favorable conditions for water flows, and furnish a continuous supply of timber to meet people's needs. On these lands, seedlings for tomorrow's forest are the focus of forest management activities. Watersheds are managed to ensure clear water for fisheries like trout and clean drinking water. Over time, various laws added other benefits like wilderness, heritage resources and grazing to the original idea of watershed protection and continuous timber. The Multiple-Use Sustained-Yield Act of 1960 recognized outdoor recreation, wilderness preservation, and habitat for wildlife and fisheries. The motto "Land of Many Uses" captures the National Forest goal of a healthy, vigorous forest that provides wood products, watershed protection, a variety of wildlife habitats and recreational opportunities, not only for today, but in a sustainable way so future generations can enjoy these benefits, too. Minister Creek runs 11.8 miles (19.0 km) through Allegheny National Forest, and is a very popular hiking trail following the creek. During the 1920s, recreation in the Allegheny National Forest focused mostly on dispersed activities like hunting and fishing. In the 1930s, the Civilian Conservation Corps changed the face of National Forests across the country by building hundreds of recreation facilities, including Twin Lakes and Loleta Recreation Areas on the Allegheny National Forest land. These and other facilities became popular after World War II when newly-mobile families discovered the joys of outdoor recreation. The creation of the Allegheny Reservoir when the Kinzua Dam was completed in 1965 brought the most dramatic change to developed recreation in the Forest. Within ten years, a tremendous development program resulted in campgrounds, boat launches, beaches, picnic areas, hiking trails and overlooks around the reservoir shoreline and elsewhere throughout the forest. Over time, campground improvements such as electricity, hot showers, and baby-changing stations were added. Areas to view wildlife (Buzzard Swamp, Little Drummer), trails for cross-country skiing and motorized recreation (all-terrain vehicles, snowmobiles) and fully accessible fishing piers, trails and restrooms were also added. In 1984, President Ronald Reagan signed the Pennsylvania Wilderness Act into law, which designated the Hickory Creek and Allegheny Islands Wilderness Areas as part of the National Wilderness Preservation System. The Forest Service carries out a variety of management and research activities, providing multiple benefits with a strong scientific basis. It is necessary for management to strike a balance between multiple uses of the forest, as well as between the interests of different parties. Vegetation, wildlife, industry, and recreational usage must be considered. Those in the timber industry maintain that harvesting timber provides wood products that we all use and creates openings which allow sunlight to reach the forest floor to stimulate seedlings, berries and other plants that wildlife need. This in turn provides opportunities for berry pickers, birdwatchers and hunters. Environmental and conservation groups might describe this activity as greenwashing logging practices and creating patches of clearcut forests that harm forest health. The logging and road building for the logging vehicles can pollute streams, destroy habitat, and create vectors for non-native species. Defining the way a National Forest is to be managed can be controversial. The National Forest Management Act of 1976 required each National Forest to implement a Forest Plan with extensive public involvement, outlining a vision for how and where management activities will be emphasized. The Allegheny National Forest's initial Forest Plan was approved in 1986, and revised between 2003 and 2007. Additional parcels of the Forest are expected to be recommended to Congress for permanent protection as wilderness areas under the Wilderness Act of 1964 as a result of the Forest Plan revision process. As we enter the 21st century, forest managers, scientists and people who value National Forests must continue to work together to care for and sustain the forest today and for the future. ↑ United States Forest Service, March 2007, Allegheny National Forest Final Environmental Impact Statement. Retrieved January 31, 2009. ↑ Mary Byrd Davis, 2003, Old Growth in the East: A Survey. Pennsylvania, Primal Nature.org. Retrieved January 31, 2009. ↑ Allegheny Defense Project, Black Cherry Tree Farms Threaten Healthy Forests. Retrieved January 31, 2009. ↑ University of Washington College of Forest Resources, Organic Act of 1897 [PUBLIC—No.2.] Retrieved February 7, 2009. ↑ Center for Wildlife Law, University of New Mexico, Multiple Use—Sustained Yield Act of 1960. Retrieved February 7, 2009. ↑ US Forest Service, National Forest Management Act Of 1976. Retrieved February 7, 2009. Macdonald, Samuel A. 2005. The Agony of an American Wilderness: Loggers, Environmentalists, and the Struggle for Control of a Forgotten Forest. Lanham: Rowman & Littlefield Publishers. ISBN 9780742541580. Scarpaci, Joseph L., and Kevin Joseph Patrick. 2006. Pittsburgh and the Appalachians: Cultural and Natural Resources in a Postindustrial Age. Pittsburgh, Pa: University of Pittsburgh Press. ISBN 9780822942825. USDA Forest Service. History of the Allegheny National Forest. Retrieved January 31, 2009. History of "Allegheny National Forest"
This page was last modified on 5 March 2019, at 23:43.